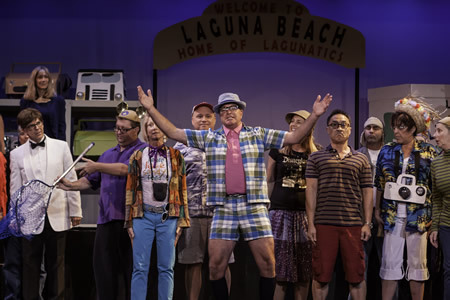 By now, Laguna Beach residents would have been clamoring for tickets to the 23rd annual “Lagunatics,” the homespun production that delights audiences by skewering Laguna life and people using original lyrics matched to popular music. However, No Square Theater’s annual ”Roast of the Coast” is on hold until October 2015. 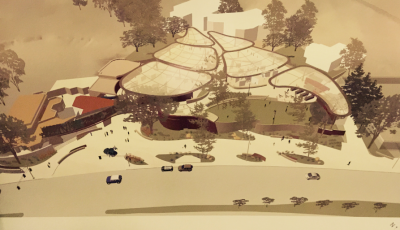 A scaled down version will be produced some time soon, said Bree Burgess Rosen, the artistic director. Rosen, the driving force behind the town-favorite, said that since the 2013 show was postponed to February 2014, it was too soon to produce another. That show was derailed close to opening night when mold was discovered in the offices below the stage of the Forum Theater on the Festival of Arts’ grounds. Rosen said it would have been difficult to pull the full cast together again so soon, as the weeks of rehearsal and multiple performances are time-intensive. Over the years, the size of the cast has varied from as few as 17 to as many as 53, including elected members of the City Council and city staff. Last year’s show featured 25, including Rosen still in recovery from her battle with lung cancer. “Lagunatics” has shifted seasons over the years, but only in 1994 took a hiatus. 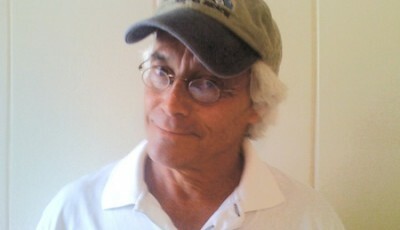 Chris Quilter, a long-time No Square Theater board member and “Lagunatics” co-writer, said the show had been sketched out and much of the material written. 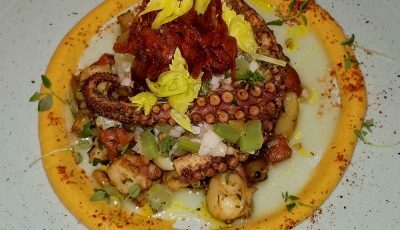 He and Rosen concur that roughly half of these will lose steam over time, so they plan to produce a mini-version at No Square Theater’s home at Legion Hall. They may also add additional music. “There’s a lot of stuff that’s ended up being cut over the years, for one reason or another, and that stack is a likely source as well as new material,” Rosen said. Two other writers worked on the show this year with Rosen and Quilter: Rufino Cabang, who has performed in many No Square Theater productions, including a recent autobiographical musical review, and Michael O’Malley, who participated in the show’s first 10 years and rejoined the cast in 2014. Rosen takes pride in managing the non-profit theater on a spend-as-you-earn basis and, as “Lagunatics” draws the largest audience, she said there may be compromises to programming early next year. Even so, the theater will produce its first-ever holiday musical, “Radio Hour,” which goes into rehearsal soon and opens Dec. 6. Writer Randy Kraft formerly covered City Hall for the Indy.